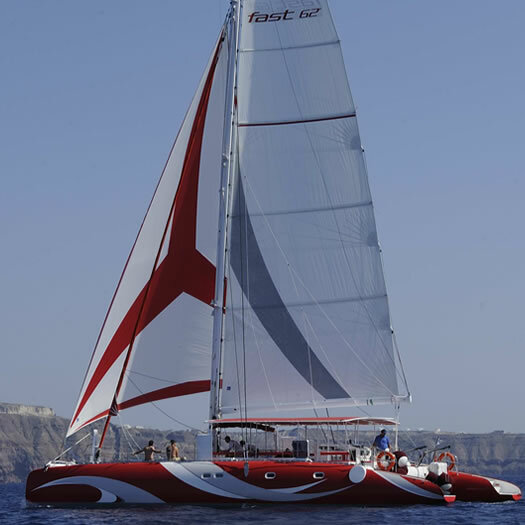 On our last full day in Santorini went for a cruise on a catamaran called Dream Catcher. We spent five hours sailing (well, mostly motoring but occasionally sailing) around the island of Santorini. We had two opportunities to jump off and splash around in the water, which was the perfect temperature of ahhhhh. They even fed us a delicious supper. And for dessert there was this. Although we were loath to leave Greece, the Dream Catcher was as good a way as any to bid the islands adieu. The next afternoon we loaded up our bags and left our hotel room behind. But we left the door open, just in case.